DNA has the Ismoka Eleaf Lemo Drop rebuildable tank atomizer in stock and ready to ship in two colorways: black & stainless steel. Just use the coupon code “DNA10” at checkout and you can pick it up for just $31.49. 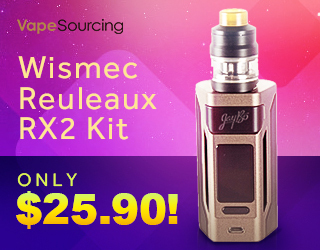 Plus… all order also get a FREE bottle of MP e-liquid. Get your order up to $49 and you also get FREE SHIPPING as well. 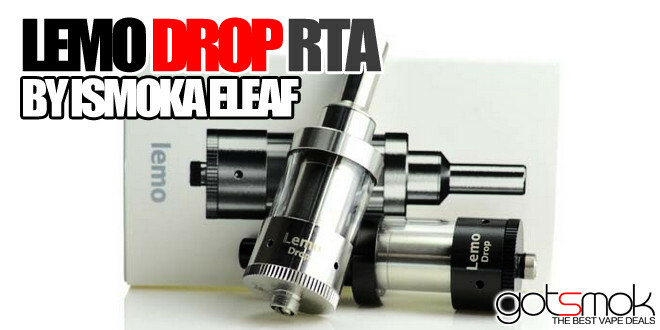 The LEMO Drop RTA has been getting a lot of positive reviews. Think of it like a Kayfun/Russian styled rba but shorter and more compact. It also features a stainless steel / Pyrex build. Not bad for $31.49.